Ah, Paris! The Eiffel Tower, the bérets, the Apache dancers, “La Vie en Rose,” haute couture, zee Fransh ak-sant, onion soup, vin rouge, escargot. The Paris of movies and tourist brochures is, frankly, a load of hooey. 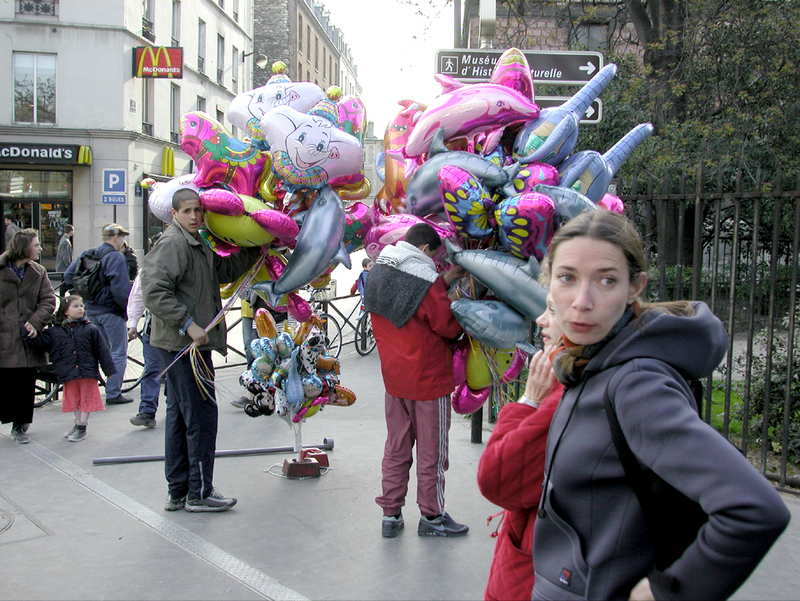 If you go to Paris to see the city of Amélie or Avenue Montaigne, or worse, the city of An American in Paris, you will be disappointed. There is no Maurice Chevalier here, singing “Louise,” no Piaf, regrets or otherwise. Paris is a city, not a romantic illusion. There is traffic, there is noise, there is filth on the streets. On street corners, teenage toughs with shaggy hair make out with the girls during school lunch hours and workmen carry long pipes of PVC to replace worn out Paris plumbing, and cars stop midstreet to block those behind, while someone jumps out and opens the rear door to make deliveries, oblivious. It is a working city; not a theme park. It has edges, it has smells. It has its crankiness as well as its graces. Yet, Paris is still one of the greatest cities in the world. For some of us, the greatest, no contest. Oh, you can still get a bowdlerized version of the city from on top of a tour bus, with a cheesy tour guide pointing out all the familiar places: Napoléon’s tomb, the Notre Dame cathedral, the Panthéon, the Opéra, the Louvre. But if you only look for the guidebook Paris, you will miss the real city. It is there to be soaked in, like the fragrance of a newly cut camembert. The best way to discover the real Paris is to find a neighborhood to stay in, and then to walk the streets, shop in the stores and eat in the cafes and restaurants. Avoid the usual areas: Don’t book a room in the Latin Quarter or the Marais or, god help you, Montmartre. 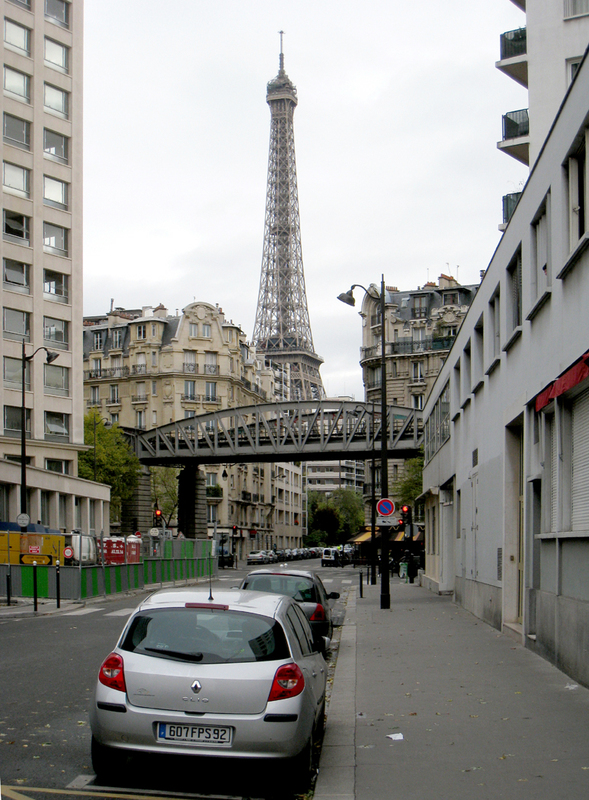 Paris is divided into administrative districts, called arrondissements. The Fifth is a huge tourist area; try the nearly forgotten 12th or the off-on-the-side 16th. You will hear the screams and chatter of school children playing at recess. 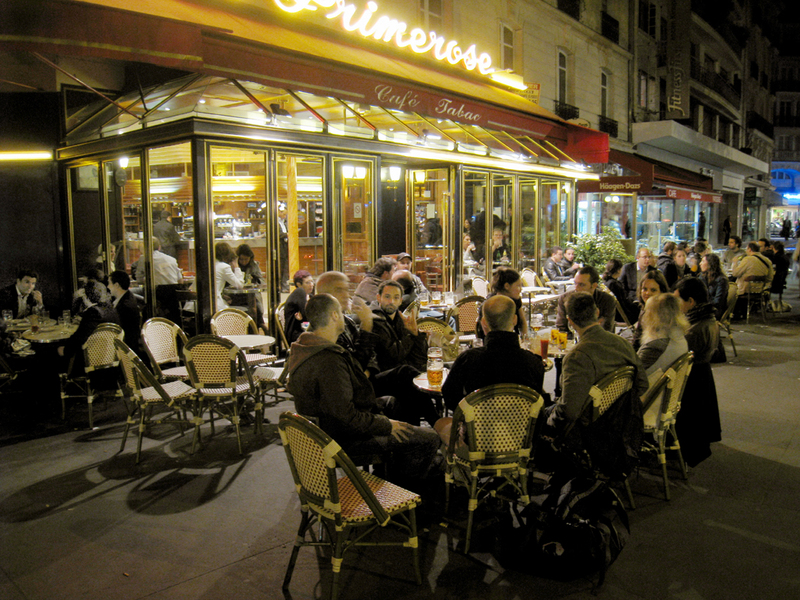 You will see the regulars downing their apéritifs at the corner bars. You will find not only the boulangeries (bakeries), patisseries (pastry shops) and épiceries (corner grocers), but also the small shop where a seamstress can repair a torn trouser leg, the cheap, smarmy cadeaux shops, with their cheap plastic “gifts” — the kind people give each other when they don’t really care what the recipient thinks, but nevertheless feel socially obligated to offer. You find the pharmacies under the flashing green neon crosses, where the pharmacist can help you find anything from a toothbrush to doctor when you need one on a Saturday morning. If you walk around your neighborhood, in a very short time, the tradesmen will begin to recognize you as you pass. They’ll smile and wave, perhaps ask about your family. The butcher will be a larger man, with a mustache; you can see him through the window hacking away at a side of beef. 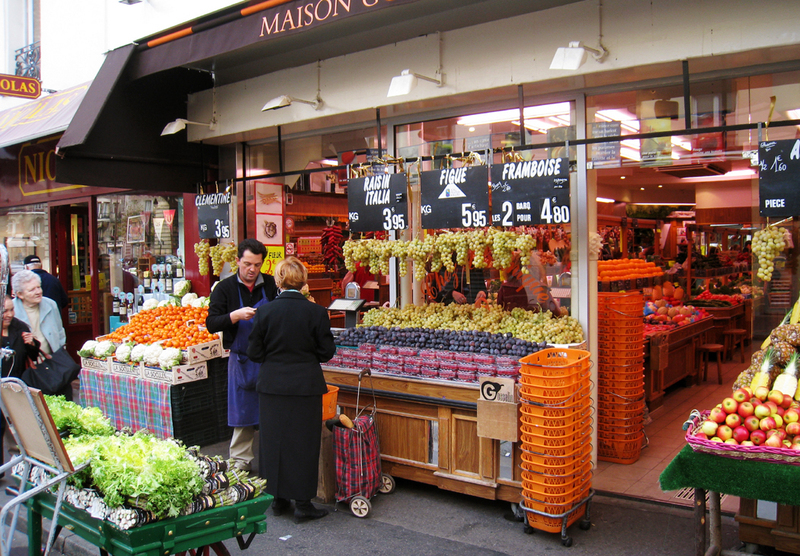 The épicier, or corner grocer, is most likely an immigrant, maybe Korean, perhaps Algerian. He will greet you when you enter: “Bonjour.” He will ask what you need and help you find it. There are self-service supermarkets in the city – the Champion or the Monoprix – but it is still the épicier that you should go to, with wine ranked on one wall like books in a Victorian library, shelves of canned goods, a refrigerator for milk and crème fraiche. In the morning, you stop at the boulangerie for a croissant and a coffee – the national breakfast; in the afternoon, you stop again for a baguette, which may be the best bread in the world. 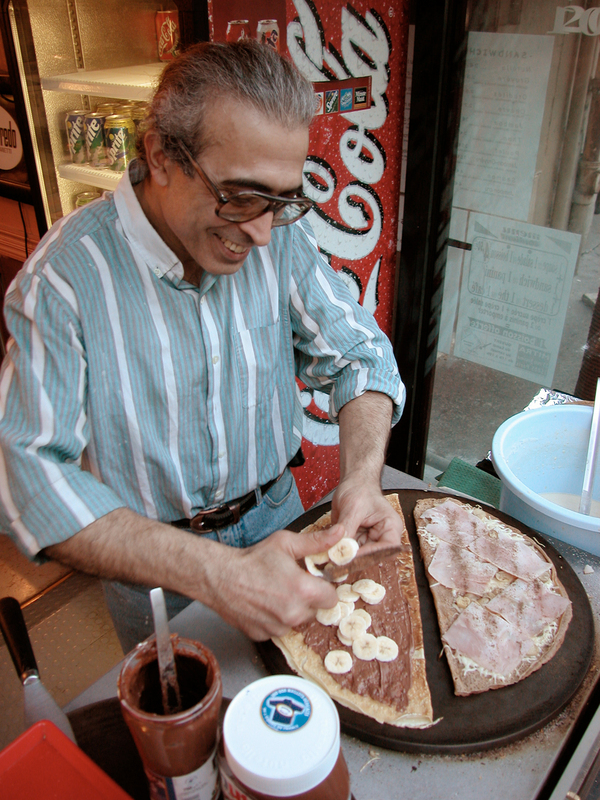 If you are in a hurry, you can stop at lunchtime and get a tartine, a sandwich made on an open face half-baguette. 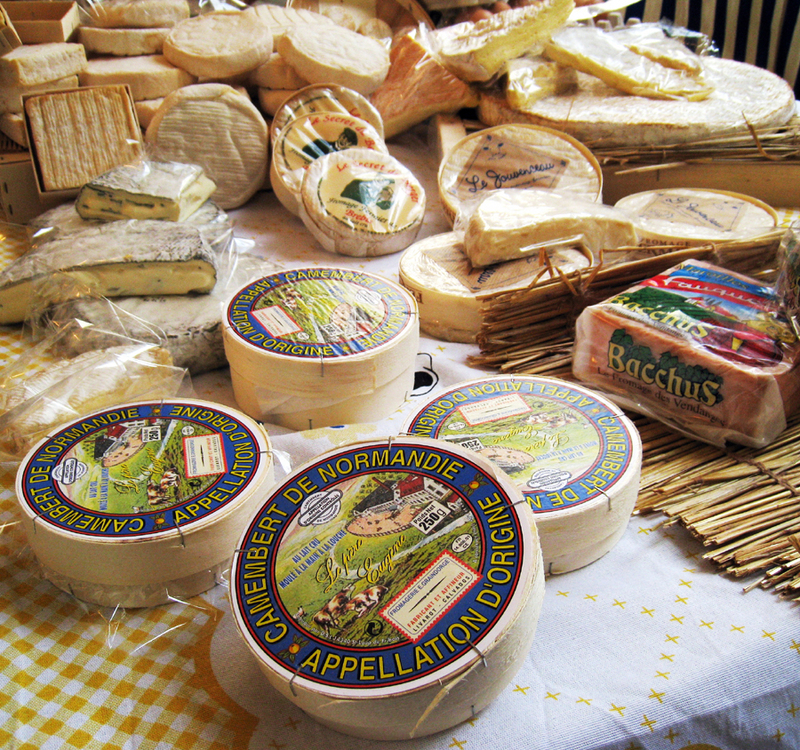 One of the best parts of a visit to Paris is the outdoor market, or marché. Once or twice a week, in certain sections of the city, awnings will be erected and from early morning to early afternoon, booths will offer vegetables, fruit, fish, meat, poultry, wristwatches, purses and overcoats. The markets throng with people. You couldn’t walk without a “pardonnez-moi” or “excusez-moi” every 20 seconds. Little old ladies with their two-wheeled grocery carts trailing along behind them like luggage. Young couples eyeing the cheap jewelry and gaudy watches. Old men looking acerbic and grumpy, with their hands in their overcoat pockets and a scratchy white three-day stubble on their double chins. Little schoolchildren on aluminum scooters. 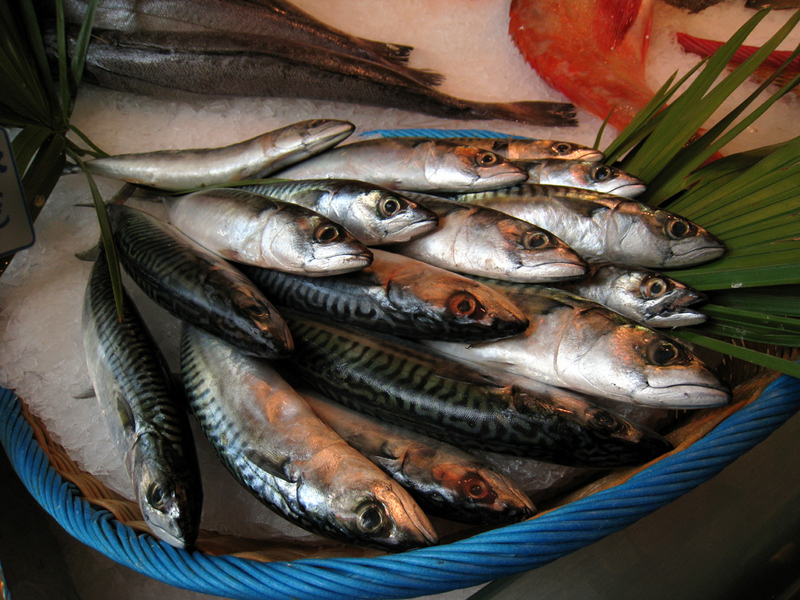 One stall will be a fishmonger, with heaps of silvery dace and mackerel, red-fleshed, skinned flatfish, piles of oysters, boxes of shrimp and langoustine. The next will offer meat, with freshly butchered shanks and steaks, and platters of livers, kidneys and other oddments. Perhaps a fresh rabbit, fur on, hangs upside down. More than one stall will be end to end vegetables and fruits, with cauliflowers, tomatoes, leeks, cabbages, peaches, apples, pears. A few meters down the road, the food will give way to junk jewelry and hairpins. Further, there will be clothing stalls, shoes, jackets. Then, more food. One great-smelling stall has whole chickens on rotisserie racks, about 6 skewers high, over a trough with golden roasted new potatoes glistening in tasty duck fat. Some markets, like the one at rue Mouffetard in the spring and summer, is a hook for tourists, but most of them, and all of them in the off-season, are really there for Parisians, who really do load up every Saturday, or Wednesday or Sunday — whichever day their particular market opens. By 2 p.m., everyone is packing up their wares and getting ready for the new market tomorrow in another part of the city. A neighborhood consists of apartment buildings, primarily. In the older neighborhoods, the buildings were erected in the 19th or early 20th century. They will have sculpture over the doorways and carvings on the windows. They are elegant; they are everywhere. But in newer neighborhoods, the apartments can be outright ugly: Designed in the 1960s as modernistic, and now grimy with soot on what was once shiny brushed aluminum paneling, or covered with graffiti on bland stucco. 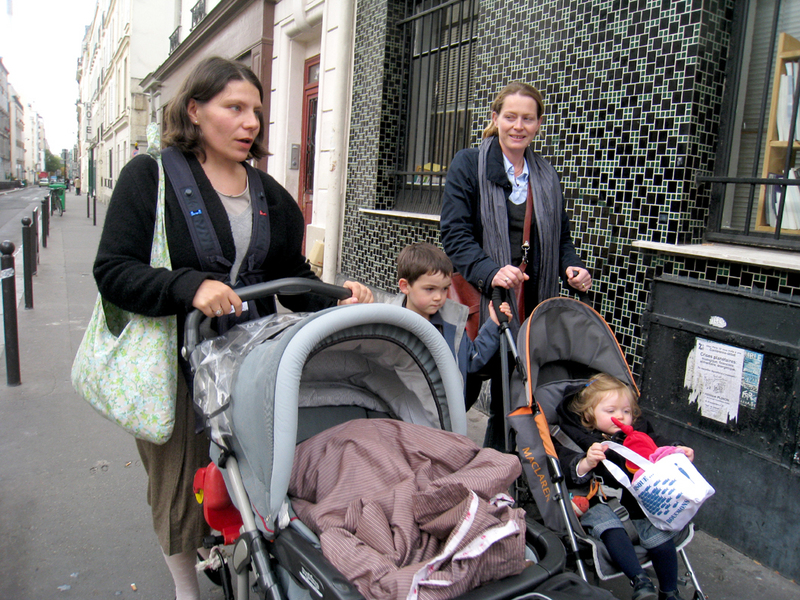 Parents walk their infants in strollers or hold their older kids’ hands as they walk to the market, the school or the post office. Bicycles are everywhere and so are the motorcycles and scooters, making up most of the background noise of Paris, mixed with the perennial “eeee-aaaaw, eeee-aaaw” of the emergency vehicles – les pompiers. I cannot know what others find in Paris, but this is what we find that keeps drawing us back, every two years, when we can round up the wherewithal to go. There is certainly an exoticism in a place where no one speaks your language and they eat kidneys and snails, but it isn’t the strangeness of the place that draws us back; it is the familiarity, the sense of having found a home — a spiritual home, a place where the populace seems connected to the things we feel connected to. Living in America, we are miserably confined to a world view that simply isn’t satisfying. I bump into those who reflexively insult the French — “cheese-eating surrender monkeys,” and the like — but who have never been to France. Or Chile, or Shanghai. They tend to believe the American way is the only way, and evince little curiosity concerning how others may live, and whether it may, in fact, be a satisfying way to live. Yes, the hotel rooms may be small, very small; if they have an elevator, it is hardly larger than a phone booth; if they don’t, the stairs will not have met anything like a building code. Floors will likely have steps up or down in unexpected places. The concierge will be of great help, or at least willingness to help, and almost always speaks pretty good English, but will also almost always be speaking on the phone to a friend. But the small rooms should not be a problem. After all, we’re just sleeping there. But I have heard many an American whine and complain about the size of the French hotel room. If they want a Holiday Inn, they might consider a vacation in Missoula or Muscle Shoals. Neighborhoods thrive on their restaurants. Every street is filled with them. Each night, they will be full from 8 to 10 p.m., with gesticulating diners talking and drinking. But not smoking: Smoking has been banned in all Paris restaurants. The obnoxious smoker spewing cigarette ash all over the place used to be one of the signature characteristics of the city, but that is all gone now. Diners will occasionally excuse themselves from their table and step outside for a furtive puff and come back in when they’re done. 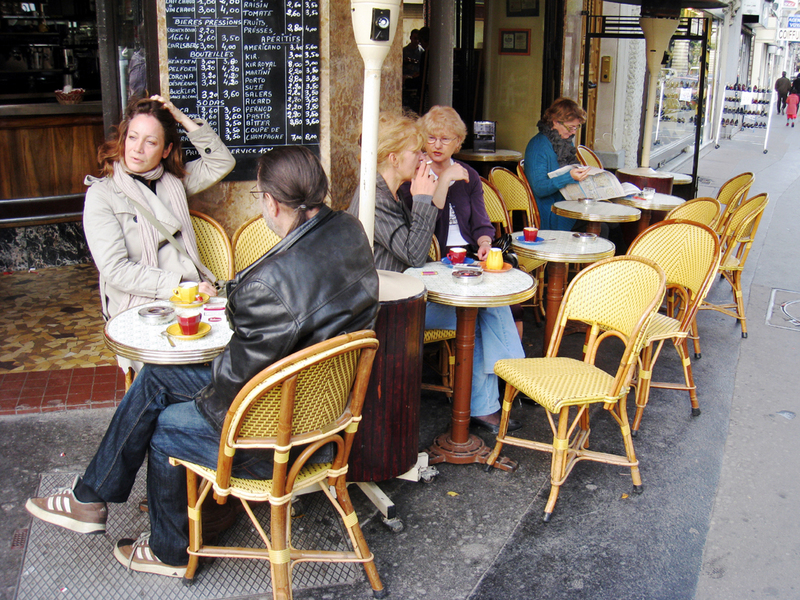 The guide books spend a lot of time explaining the difference between a cafe and a bistro or brasserie or salon de thé, but really, all that is old hat. Most often you see signs for cafe-restaurant or bar-brasserie. Everything has morphed into everything else. 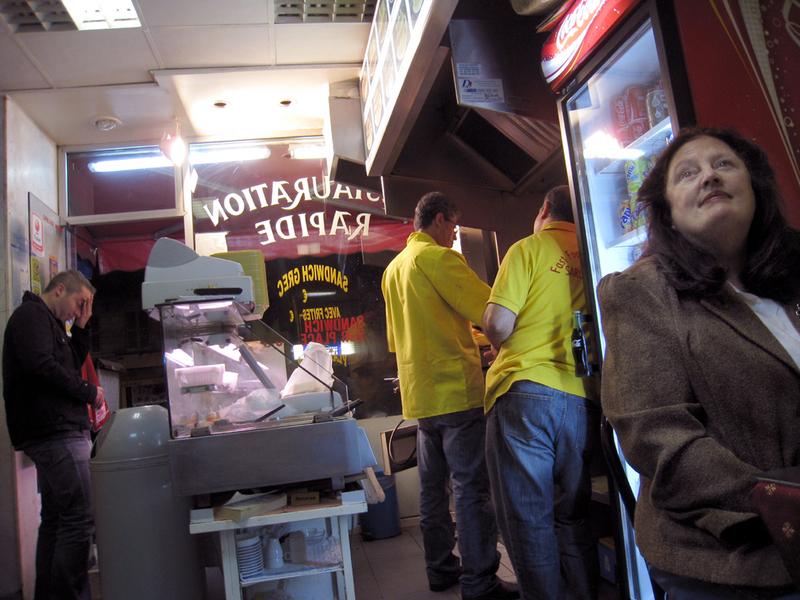 The real difference to notice isn’t the cafe and bistro, but the pizzeria and gyros shop. Most of the restaurants you come across, outside the billions of cafes that line almost every street and bedizen most street corners, will be ethnic: Thai, Korean, Italian, Basque, Indian, Japanese. They will, of course, be French in their approach. Even if you are ordering Chinese, expect a three-course meal with a wine list. Fromage blanc for dessert? Don’t be surprised to find things you’d never find in a Chinese restaurant at home, or in China. The standard neighborhood restaurant is a two-man affair. It will be a storefront with a few tables outdoors, unused in the autumn chill, and about six tables inside, with a bar at the back of the room, where the waiter stands. Waiter isn’t quite the right word for him. He is host, bartender and, sometimes, streetside barker. He will be friendly, will smile, will point out what is best on the menu tonight. He is an indispensable part of the dining experience. But behind the door at the back of the small room, where you see a dim light and perhaps some steam, there is the cook and scullery man, working like a slave, pumping out the escalope de veau or the tortellini Provençal. He will be a frumpy, dumpy man, or a lean, wiry Algerian, and periodically he will pop out of the kitchen in long, formerly white apron, a shirt with its tails hanging out and a five-o’clock shadow on his face, will scurry like a rodent from the kitchen to the stairs — every such restaurant has a spiral staircase to the basement, located among the tables, where the pantry is kept — and he will disappear for a few minutes and then reemerge, like a prairie dog from his hole, with an armload of fish or potatoes or cooking oil, then disappear back into the hot kitchen. The first time he did this, as he came up, he looked over at me and smiled, almost like a child. He knew how pathetic he looked, but how competent he knew he was in the kitchen. I’m sure he and the waiter could not possibly have switched jobs. I mentioned the menu, but in fact, the menu is something else: You order from the “carte,” which is the bill of fare. A “menu” is a prix fixe dinner, offered as either a money-saving alternative for the price-conscious (and a chance for the restaurant to move any items too long hanging around, or in too abundant a supply), or an obvious gimmick for tourists, to make their choices easier among the many strange-sounding food items available. The menu (or formule, as it is also called) will usually offer an entrée (or first course) and plat (main course), or plat and dessert, for a very low 10 Euro or 13 or 15 Euro, depending on how swanky the food is or in what neighborhood the restaurant is located. A good menu will offer all three courses. Drinks are extra. Coke is more expensive than wine. Literally. Oh, you can buy really expensive and good wines to have with your cote de veau, but in a cheap cafe, a glass of vin du pays will set you back 2 Euro, while a Coke is likely to run 3.50. 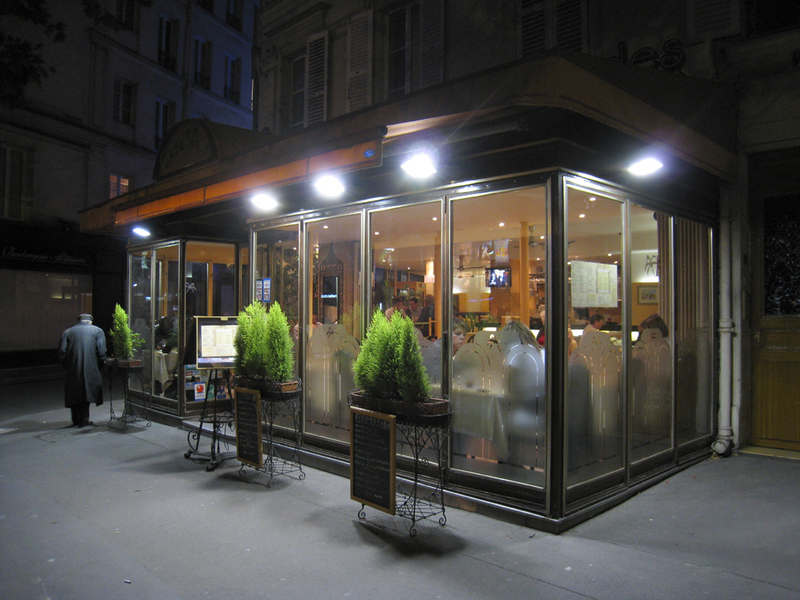 On a chilly, drizzly fall evening, the warmth, physical and emotional, of the neighborhood restaurant, is the essence of the Paris experience.